This book explores interstate conflict and its dynamics in the context of Latin America’s contemporary conflict management experience. 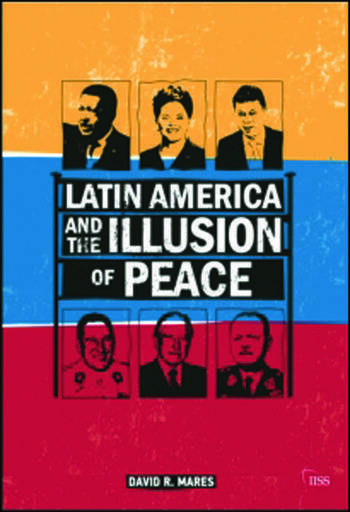 The myth of Latin America as a region of peace means that each time the use of force rises to the level of global attention (e.g., Ecuador-Peru 1995 or Colombia-Ecuador 2008) analysts and the press ask, "how could that happen here?" Yet the official uses of military force in interstate relations are significantly more prevalent than most analysts within and outside the region understand, and the region is facing new and potentially destabilizing challenges. It is the contention of this book that mitigating the threat raised by militarized interstate relations requires understanding the various ways in which military force can be employed short of war; this in turn requires illuminating the decision making process that produces militarization of a disagreement, considering options for dissuading the decision makers from choosing to militarize and limiting escalations when militarization does occur.